FIVE convenient North and Central locations for Family Fun in all directions! 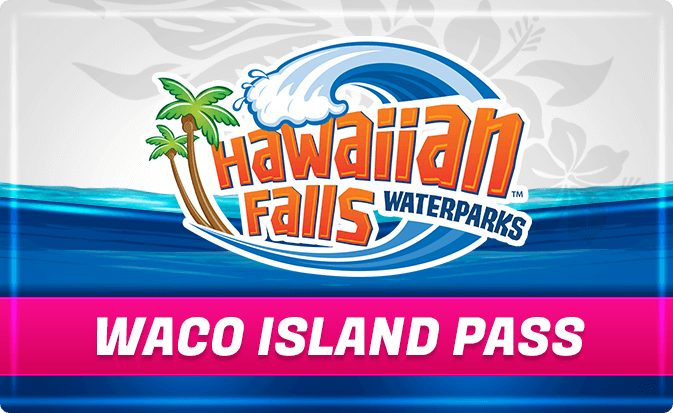 Get your pass now to Experience the Island Life all summer long at Hawaiian Falls! NEW! Pre-season Sneak Peek Party! 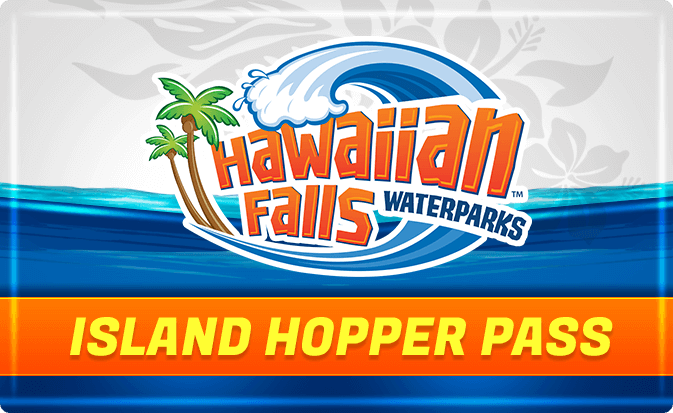 Experience the island life with a season pass! 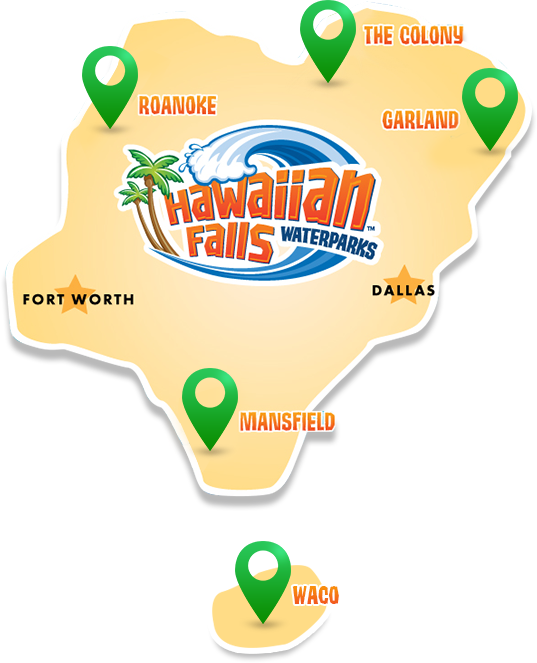 all five Hawaiian Falls Waterparks. You can bring a buddy with each visit. Valid regular waterpark operating days for the 2019 season. 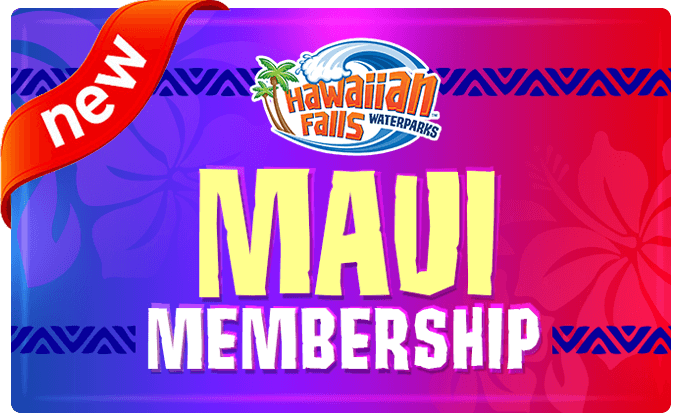 Waco Hawaiian Falls Waterpark location only. Allows one free combo meal per passholder per visit. Valid regular waterpark operating days for the 2019 season. Must have a valid 2019 Season Pass. Allows any one cooler, container or bag of any size containing food and/or drinks into the park on each visit all summer long. TO GO WITH YOUR SEASON PASS! Get a free combo meal per passholder per visit!